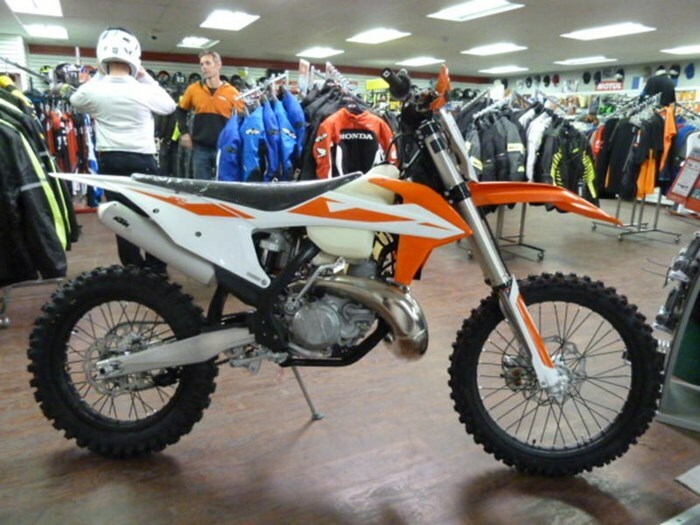 Save $480 2019 KTM 300 XC UNRIVALED POWER-TO-WEIGHT RATIO Take the unrelenting ferocity of an SX bike, add a few extra horsepower and torque, a longer-range fuel tank and an 18” rear wheel to accommodate more rubber, and you’re well-armed to dominate the dirt. In a nutshell, the KTM 300 XC is arguably the most accomplished cross-country racer available. 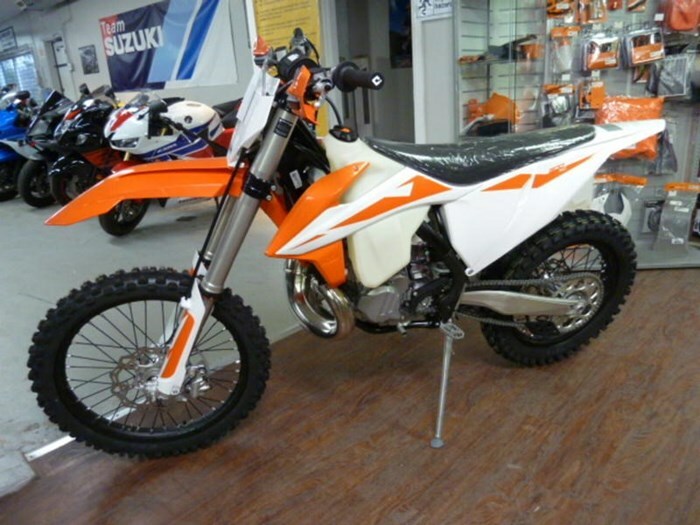 Features may include: ENGINE & EXHAUST The engine of the KTM 300 XC has been known and respected for being the most powerful 2-stroke engine in its class. 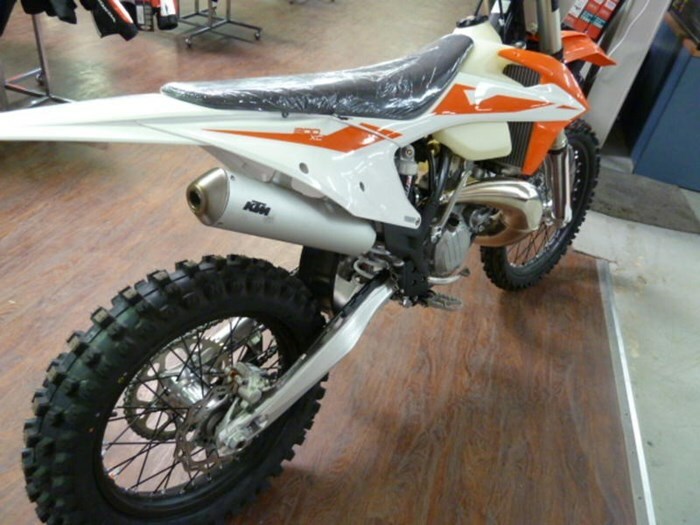 2-strokes really do have a future at KTM. Their outstanding power-to-weight ratio, low cost and simplicity see to that. 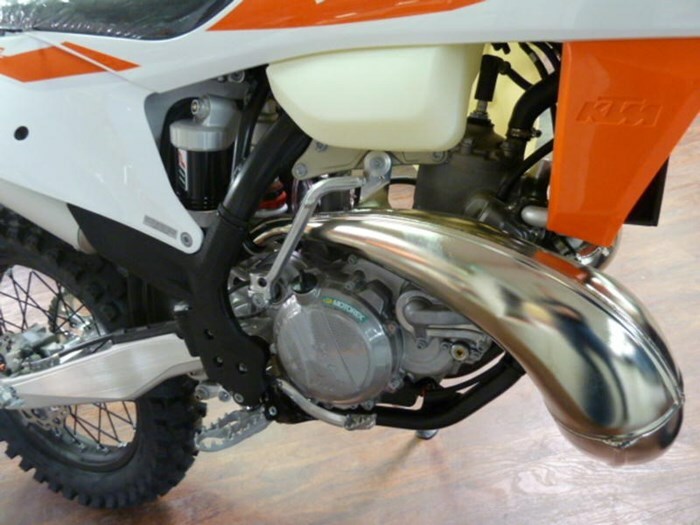 The KTM 250 XC engine has been optimized for mass centralization, comes with a twin-valve controlled power valve, a balancer shaft for less engine vibrations, a 6-speed transmission and a hydraulically operated DDS clutch. This compact racer truly outshines the competition with its ripping performance and is the right choice for lovers of low purchase and maintenance costs. Oh, and of course don’t forget that 2-stroke snarl when you’re on the pipe. CHASSIS KTM engineers just love dropping weight year after year. The result: the 2018 KTM XC models are the slimmest, lightest dirt bikes out there. ERGONOMICS & COMFORT In order to tame the 300 XC, riders need to be able to move freely. Perfect ergonomics and contact points provide maximum comfort in movement and ensures that the same READY TO RACE ergonomics of previous years have been retained for 2019. BODYWORK & GRAPHICS KTM R&D, KISKA Design and all our factory riders had their say in shaping the plastics with one goal: complete harmony between rider and bike. Perfect ergonomics and contact points provide maximum comfort in movement on the XC. The I-beam structures of the front and rear fenders guarantee maximum stability and a low weight thanks to well thought-out construction and mounting. They also stay cleaner for longer. SOFTWARE & ELECTRONICS KTM 300 XC is what you would call the ultimate stripped-down racer. With electronics kept to the absolute minimum, this cross-country racer makes do with the bare essentials to break lap records.